1. 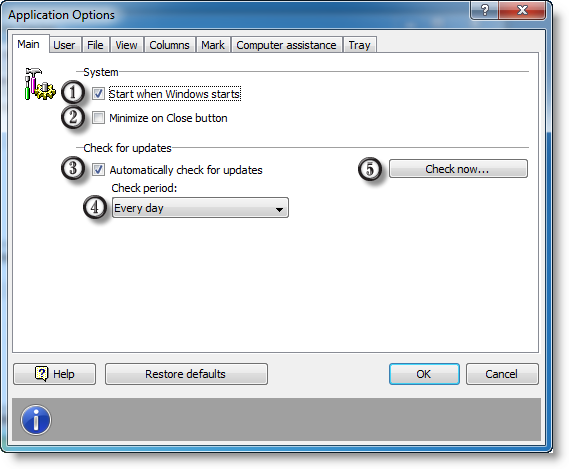 If this option is on, AllNetic Working Time Tracker will start automatically on Windows start. 2. If this option is on, clicking the Close button in the main window caption will minimize AllNetic Working Time Tracker. You can still close the application using menu File -> Exit. 3. If this option is on, AllNetic Working Time Tracker will check the latest version available on the official web site. 4. Periodicity of automatic check. 5. Check up the latest version now.